Engineered to provide the ultimate lightweight wind protection in the mountains, the Distance Wind Shell combines superior weather resistance and breathability with an ultralight design, so you are always ready for what the mountains throw at you. 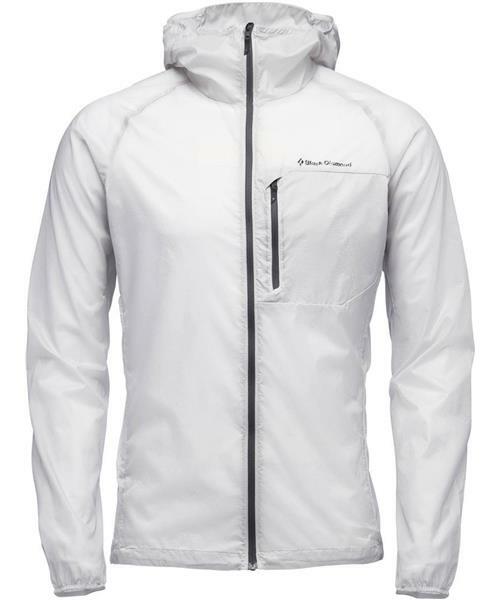 Launching in partnership with Green Theme International, the Distance Wind Shell features GTI’s revolutionary Aquavent DWR technology, an environmentally friendly PFC-free water-repellant finish that is superior in performance compared to any other C-6, C-8, or C-0 DWR. This performance is only exceeded by its durability, as Aquavent is permanently hyper-fused to the individual fabric fibers, and there is no need to ever refresh the jacket with an additional spray or wash-in finish. The Distance Wind Shell is ultra-packable, making it a perfect emergency piece for mountain missions with a chest pocket that doubles as a stuff sack and clips to a harness with a carabiner clip loop. With its air permeable qualities designed for high-output activities, and robust weather resistance, the Distance Wind Shell is tailor-made for fast and light mountain adventures.